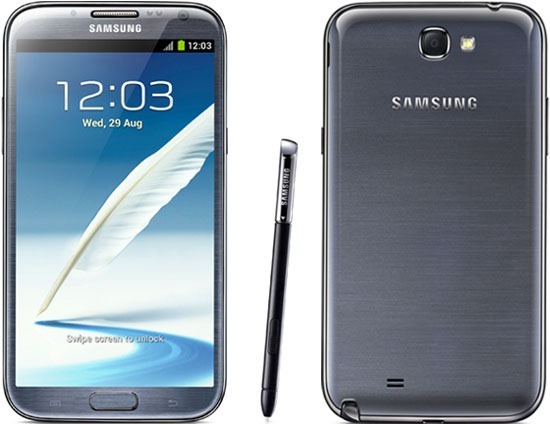 If you're a US Cellular customer and also interested in the Galaxy Note II, good news: the Note II will be available on the southern regional carrier starting Friday, October 26th, in stores and online. The price remains the same as it has since the pre-order, at $299 on a new 2-year agreement. Today is also the last day you can pre-order the Note II on USC, and those orders will begin shipping tomorrow. To follow up on our September release announcing pricing and presale availability of the Samsung Galaxy Note II, we are excited to share that the 4G LTE device will be available online and in stores for our customers throughout the day on Friday, October 26. The 16 GB smartphone comes in titanium gray and costs $299.99. Tomorrow is the last day to preorder the device at uscellular.com, and previous presale orders will also begin shipping tomorrow. Customers who purchase the Samsung Galaxy Note II from U.S. Cellular receive benefits no other carrier offers, including no contracts after the first one ends, free Battery Swap and the only points-based rewards program in the industry. By the end of this year, 58 percent of U.S. Cellular customers will have access to 4G LTE speeds.